Some days, I just find it hard to sit down and pray. Don’t get me wrong – I know it is important to pray for those in need. I know it is important to pray for those who are hurting or facing financial worries. But sometimes all those problems weigh me down. That’s when its time to break out prayers of praise. First, I spend some time praising God. No, that doesn’t mean I spend time thanking him for giving me this or that. This is time for praise. This is the time to thank God for being God. Given that I can’t actually wrap my brain around all that entails, I have a tendency to go the St. Anselm route. After I’ve done this for a while, I get into thanksgiving and, again, I try not to focus on just my blessings. What has He given those who are also having health problems? Supportive families, medical care, and the ability to connect with others over the phone or Facebook. If your prayer time is getting you down, spend some time in praise. Thank God for what he has given you and those around you. Focus on what is good, and true and Holy. You’ll still have plenty of time to ask for whatever it is the people on your prayer list need, and you’ll also have a lighter spirit capable of lifting others up into His Light. For no reason other than it makes me happy. Most of us, as young children, were taught to share. We shared our toys. We shared our treats. Someone, some adult, was always around to remind us that any largesse was meant to spread around, even if we didn’t especially want to. It was the right thing to do. Nowadays, sharing has gotten a bad name. Sharing wealth, for example. I had a boss, a millionaire many times over, who opined that he didn’t feel he paid enough in taxes. He would have gladly paid more, but no one asked him to. Cut to the Koch brothers grasping onto their every nickel like a pre-three-ghosts-plus-Marley Scrooge. I know which side I stand with. Sharing seems to be confused with that other “s-word” — socialism. Sure, one day millionaires pay a fraction more in taxes or poor children are allowed health care (a basic human right) and WHAMMO! Suddenly, we’re living in Nazi Germany (fascists, by the way) or Soviet Russia (Communists). That’s a totally different head. Totally. * It’s not going to happen that way. Because being kind to others, especially those in more need than we ourselves are, is not only a Christian tenet, it’s a tenet of most religions. Do unto others. The Good Samaritan. Good Karma. Funny thing is, the people who are most adamant about America being a Christian nation seem to be the very same people who don’t want their money taken away in order to help the less fortunate, thank you very much. It’s their money, their business. They built it, with no help from the government — who paved the roads that bring their customers to them, or from police and fire departments that keep them safe, or favorable zoning laws or any one of the many things that help us all, because we have decided to share our resources with each other so that more of us can be prosperous. Where are all those adults who obligated us to share? Where did they go? When my brother was two or three years old, he tape-recorded his Christmas wish list, ending it with, “All for me and none for Lizzy (the little girl next door)!” He’s a grown-up now, and laughs along with the rest of us at his toddler self’s pre-holiday greed. But there are plenty of people who aren’t laughing. They still want it all. They don’t want to share. And maybe the government shouldn’t make them. They, themselves, should make them. Isn’t that what a Christian nation would advocate? * To anyone who watched the great ‘80s sitcom “Square Pegs,” thank you for getting this joke. Teach. Learn. Live. Well. Work. to share what You’ve done for me. Don’t give up on me, Lord. but my heart is set on your word. I know I’m still in the curve. Amen! I said to the screen. Should she be wearing that big, bunchy necklace with such a busy print shirt? I said to myself. Whoa! Caught myself there. I was just sitting here agreeing with what Joyce Meyer was saying. Then I turned around and judged her! Well. I won’t make that mistake twice. She really is so grumpy compared to Joel Osteen. And hits us over the head all the time with the Scriptures that make us squirm. Why is her lipstick that color? Whoosh! A waterfall of judgment. All over the place, I’m thinking judgmental thoughts. And all the while, claiming to be edified by this preaching. I was really not getting the message. For the entire half hour, I found myself going back to things that were petty and pointless. How cold the sanctuary seemed. Not temperature-wise; it just wasn’t warm and welcoming, as I thought a church should be. How the people in the congregation were dressed like they were going to work on casual Friday. Some sermons are surgical scalpels. They cut right to the heart of what’s holding you back. I did finally get the message, but it might just be for today. Maybe I’ll get some credits in faith college and eventually matriculate into maturity. 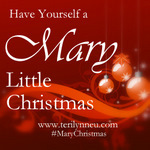 I know it’s time to get on the right track and pay attention to the core of my being: my soul. This is where the learning curve begins. If I’m judging others, I’m not right with God. I won’t even ask what my GPA (God Point Average) is yet; I’m just glad He even allowed me to enroll. The finger labyrinth at my church. 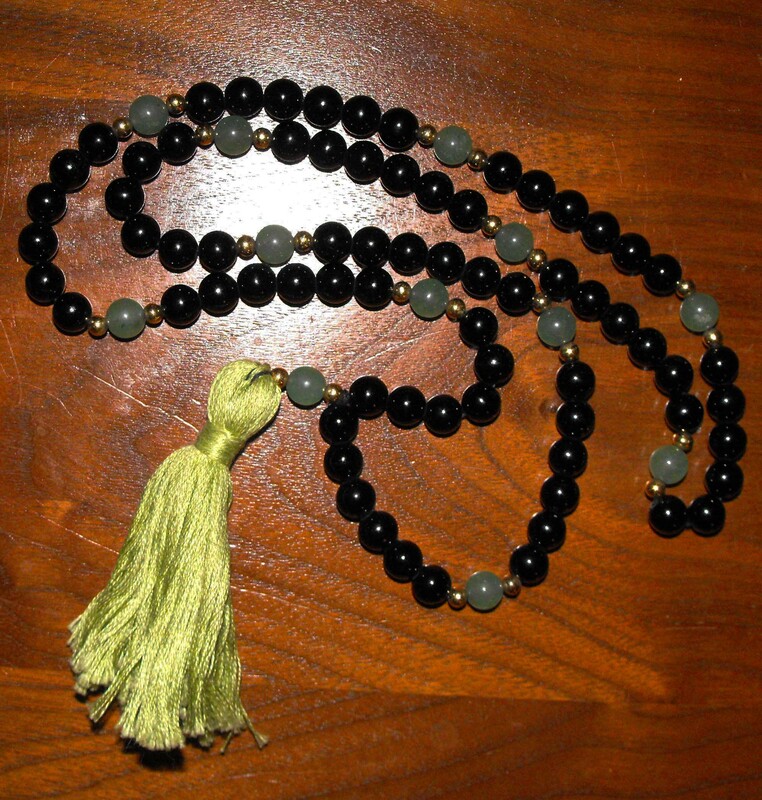 Last week, I wrote about using a set of prayer beads to help me focus when I pray. The problem is that I have an overly active mind – what the Buddhists call a monkey mind. My prayer beads give the monkey something to do so that I can take the time I need to pray and listen. Another tool that is perfect for home use is a finger labyrinth. Our church has a finger labyrinth in the parlor off the sanctuary. This small stone carving sits on a table between two chairs. Whenever I use it, I place it in my lap and run one finger of my right hand through the curves as I pray. When the monkey is particularly boisterous, I trace the labyrinth with my left index finger. Since I’m right handed this takes just a wee bit more concentration. Want to try this technique out? 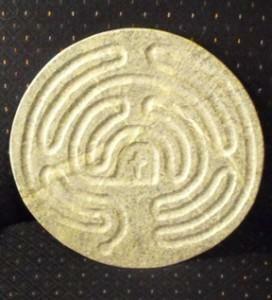 You don’t have to purchase a carving in wood or stone, instead print off one of these labyrinths. This one if much like the finger labyrinth at my church. It is a common asymmetric pattern. This is a duplicate of the Chartres labyrinth. Personally, I like the combination of angels and curves in this particular pattern. There are a wide variety of labyrinth patterns available online. Some are asymmetric like the one at my church. Others are symmetric. Just make sure that you are printing off a labyrinth and not a maze – a labyrinth has a single twisting path. There are no wrong turns. It is simply another way to release your day enough to pray. Whatever Happened to the Common Good? Remember the greater good? It sent us to war against the Nazis. It induced us to pay taxes to build interstate highways and fund police and fire departments. It rings out melodiously every time we sacrifice for the good of others. We’re like a bunch of sullen teens, griping at the world-at-large, “Don’t come in my room, Mom and Dad. Gah! Can’t you just leave me alone?” Well, guess what, kids? You’re living under God’s roof now. And as long as you are, you’d best follow His rules. As people of God, we’re asked to act for the common good. As 1 Corinthians 13 tells us, “Though I speak with the tongues of men and of angels, and have not charity, I am become as sounding brass, or a tinkling cymbal.” And while a tinkling cymbal may sound pretty, it’s not gonna get you seats at Sardi’s, if you know what I’m saying. Effecting change for the better takes a much bigger set of lungs. Charity isn’t easy. I know this. Thinking of the common good means abnegating your own selfish wants and needs in favor of what we all need: as a community, as a country, as a world. And every time the scope expands, the amount that’s asked of us increases…and it hurts just a little bit more. It doesn’t help that most of us are so struggling to get by that we hardly have the energy to look beyond our own nests. It’s time for the common good to come back into favor. If we all push a little, we can move mountains. Early in my prayer journey, a friend gave me a set of prayer beads. Hers were on an elastic band and she wears them like a bracelet. I took a set of pale green beads but for a while I didn’t use them. Frankly, I wasn’t entirely sure how to use them. Its not like I grew up praying with a rosary or anything else in hand. I was going to have to wing it. The first thing that I did was re-string the beads. I now have a longer set of green, onyx and brass that I can wear as a necklace or looped around my wrist. When I sit down to pray, just how I use these beads varies from one time to another. Today, I needed a break from the worries running around in my head. I needed to focus on all that is Right and Good. I had to turn my gaze to God. At each green bead, I repeated the phrase “Holy God, You are the Creator of All.” Then for the black beads, I ran through bits and pieces of His Creation, naming one thing per bead. For one set of beads I focused on large and mighty things – mountains, oceans, rivers, etc. For another I focused on tiny things – the feather’s on a humming bird, the leaves on the new sprouts of mint in the garden, etc. As I worked my way through the beads, I covered sounds (ocean waves, running water, wind in the leaves, etc. ), scents (roses, a field in the sun, etc.) and even places I’ve been (Bandolier Canyon, the Davis Mountains, etc.). For the last several sets of beads, I focused on simply breathing, slow and deep. I listened. No, I didn’t hear anything in particular but I hadn’t asked anything. I was just grateful for the quiet. Not that this is always how I use my beads. Sometimes, I run through the Prayer of St. Francis, reciting a line of his prayer for one bead and then thinking of an application here and now for the next bead. Sometimes I pray for the families that I know who are in need. Each family gets a set of beads, with a specific request per bead. The thing that I’ve come to realize is that the beads aren’t a grading system. There isn’t a single right way to pray with them. They simply help me to focus and slow down so that I spend some necessary time with the God who is more than I can wrap my mind around.